Our spacious guest rooms comfortably accommodate up to 4 guests. Each room has been recently renovated and offers a generous seating area, a flat-screen LCD TV, a miniature fridge, free Wi-Fi, and much more. 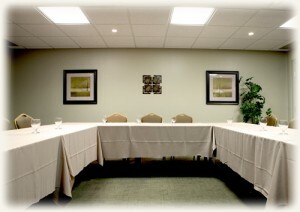 For more information regarding our room selection, please click here. We understand that it is important for your group to stay together and share the WelcomINNS Ottawa experience. 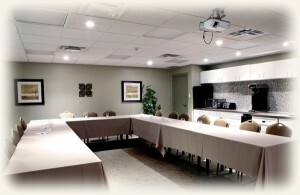 For that reason, we are happy to offer our meeting room to large groups for their free continental breakfast (pending availability). We offer complimentary bus and car parking in our parking lot that provides more than enough space for large groups visiting the WelcomINNS Ottawa. Regardless of why your group is coming to town, let us take care of you. Please call 1-800-387-4381 or email our sales department at sales@welcominns.com and we will look after the details. Whether you are a business, a team, or a group, our meeting room is the perfect place to host special events, breakout sessions, conferences, and much more. Offering plenty of space to engage with guests and network with team members, the room comfortably accommodates up to 50 people. 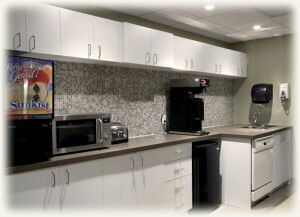 In town for a meeting and need a place to stay? Book our meeting room today and receive a discount on your accommodation! If you are interested in booking our meeting room for your next special event or conference, please contact our sales department directly at 613-748-3718 or by email at sales@welcominns.com.